Check out the Crocs Outlet Stores Clearance SALE happening until January 15, 2017. 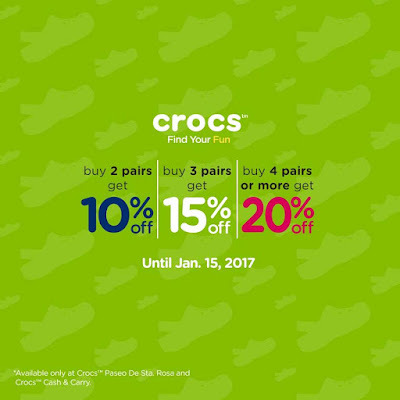 Head over to the Crocs Outlet Stores located at Cash & Carry Mall, and Paseo de Sta. Rosa now! Buy more and get more discounts!